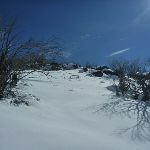 This walk follows an over-snow only route. 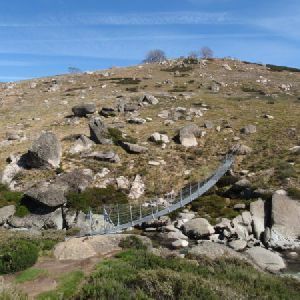 During the warmer months, this walk crosses important and sensitive bogs that can be significantly damaged, even by light footed walkers. 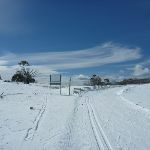 Please only walk this track when it is well covered with snow. 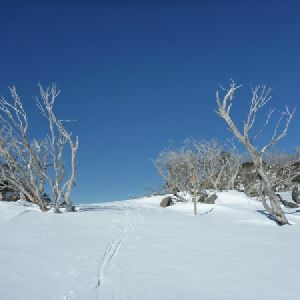 Here are some tips to help you share the snow with skiers. 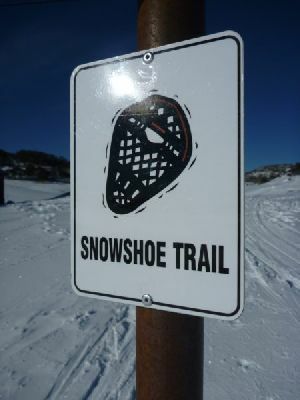 Please avoid snowshoeing on ski trails, whether groomed or ungroomed – it is fine to walk right next to the ski trail. 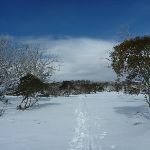 When crossing a ski trail, please do so in a single file and on a flat, more visible, section. 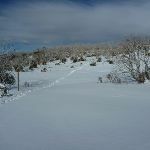 These tips aim to minimise trail ruts and collisions. 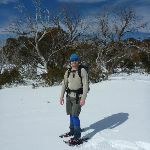 Visit Wilderness Sports for snowshoe hire. 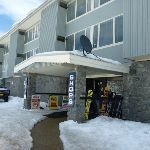 Smiggins Centre is the central eating and rest area for this resort during the ski season. 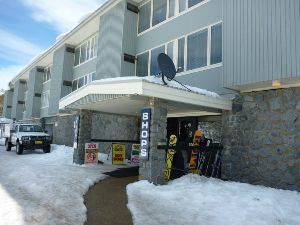 Inside are toilets, food shops, and other various shops (ski, clothing, gift and photographic) . 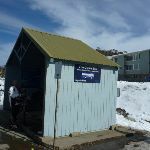 At the front of the building is the shuttle bus shelter, where a free bus operates to and from Perisher Valley and the car parks. 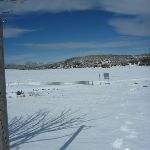 Outside the ski season, these facilities are closed. 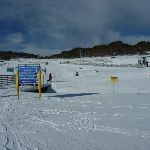 From the shuttle bus stop out the front of the Smiggins Centre, this walk heads up Link Road, further into the resort. 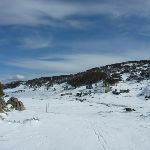 The walk continues up the road, past the long car park (on your left) with some views over the ski fields. 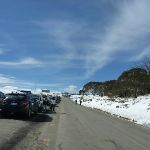 Just past the top end of the car park, the road rises a little more steeply to come to an intersection near a stone electricity building and a yellow gate on Link Road (on your left, locked in winter). 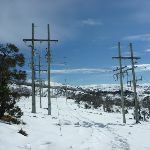 Veer right: From the intersection, this walk follows the blue and white arrows on the ‘Perisher Range cross-country ski trail’ sign, past the stone electricity building and under the high tension power lines. 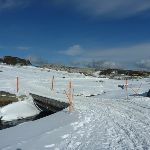 The walk then continues straight ahead, following the white, blue and orange arrows along the snow-pole line (and snow fence). 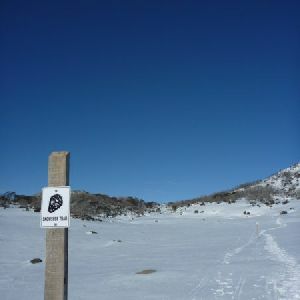 After about 260m, the walk comes to another large metal ‘Perisher Range cross-country ski trail’ sign. 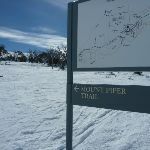 Here the walk turns left and follows the ‘Mount Piper Trail’ arrow. 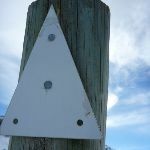 The walk now follows the snow-pole line with the orange arrows, crossing Link Rd after about 40m. 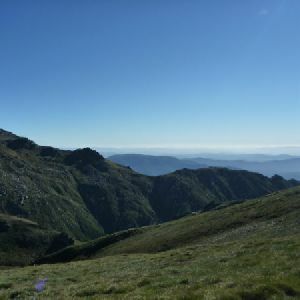 About 60m after this, the walk bends sharply left and winds up the ridge to where the track bends right, coming to the terminus of some high-tension power lines. 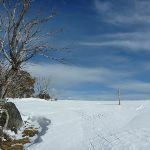 Continue straight: From the power line terminus, this walk heads uphill to follow the snow-poles that run roughly parallel to the power lines (the power lines are now down to your right). 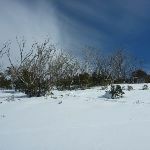 The snow-pole line bends left, leading gently up a wide ridge and away from the power lines, through the scattering of snow gums. 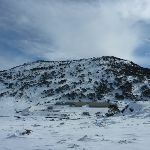 The walk heads towards Mt Piper (with the large, flat, green passive repeater at the top) and about 300m after leaving the power lines, the track turns right and follows parallel to the out-of-bounds fence (on your left) for a short time. 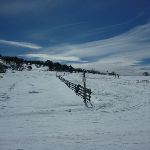 About 100m further past this fence, the snow-pole line leads to a rocky highpoint, with a clear view over the valley to your right. 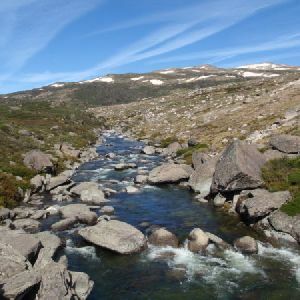 The track then leads down a dip and over a rise, winding through the dead snow gums and across a wide valley for about 300m, before climbing up to a ridge line on the other side. 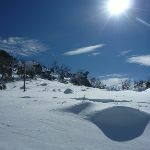 Here the snow poles lead left up the ridge for about 130m before bending sharply right and leading down the other side of this ridge. 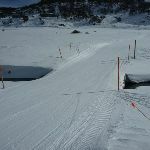 Over the next 800m, the snow-pole line leads generally down to cross two wide and open gulleys and come to a point where the track bends sharply left again. 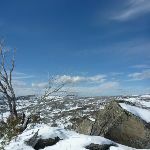 There is a view from here, looking over the rocks straight ahead and extending down along Perisher Creek valley and the scar of Link Rd. 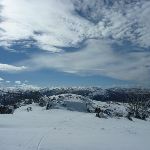 North-west of Mt Piper on the Mt Piper trail are several wide views looking down Perisher Creek valley. 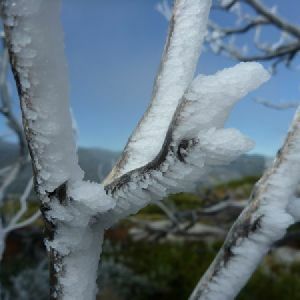 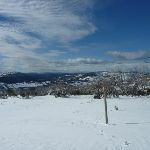 Whilst enjoying the snow-covered vista, you will be able to look down along the valley to the junction of Link Road and Guthega Road, and to the left, you can spot the road linking Blue Cow and Perisher Valley. 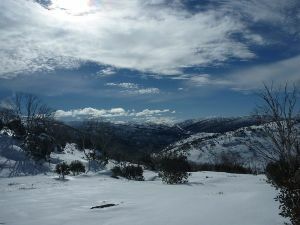 Veer left: From the valley view, this walk heads south, following the snow-pole line over the rise. 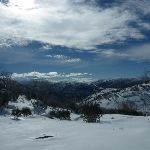 As the walk leads down the other side, there is a view over Perisher Valley. 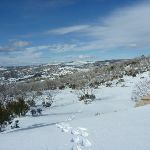 The walk continues downhill for about 700m, where the track mostly flattens out in the valley. 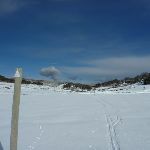 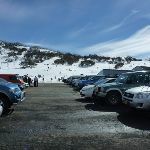 There are some buildings to your right, over on the other side of Perisher Creek – the first is the sewage treatment plant, and the rest are lodges. 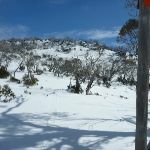 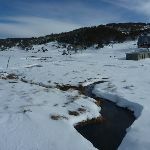 After about 400m walking along the mostly flat section beside the creek, the snow poles lead past a timber fence to find a ski-run (linking Perisher and Smiggins). 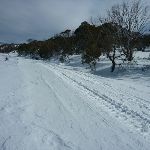 Here the walk turns right to cross the bridge, then heads about 50m beside this trail to find an intersection with another snow-pole line (on your left, with white arrow markers). 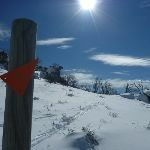 Turn left: From the intersection, this walk heads south following the snow-pole line, keeping the main ski runs up to your right. 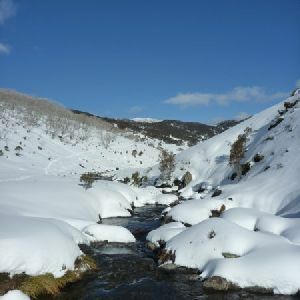 The track crosses a few small creeks (covered in snow during winter) and after about 300m, this walk tends right to find an over-snow-vehicle route, marked by orange poles with blue tips. 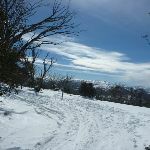 Here the walk turns left and follows this route downhill and finds an intersection at the bottom of the ‘Telemark Tbar’. 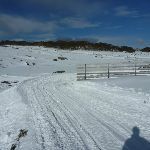 The walk continues straight, passing ‘Murphy’s Crossing’ (bridge on your left) to come to an intersection with Perisher Blue Cow Link Road & ski run just before another bridge. 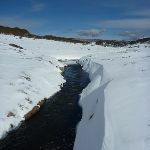 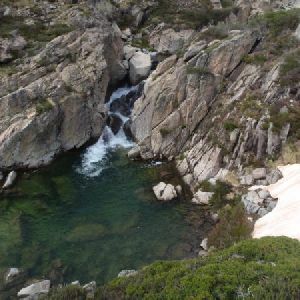 Veer left: From the intersection, this walk heads across the bridge over Perisher Creek. 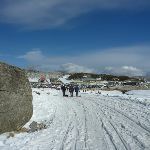 The road bends right then after about 150m, it passes the tobogganing area (on your left) and a cross-country skiing sign before leading down to the edge of a car park. 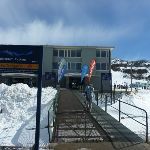 Here the walk stays right and heads around the edge of the car park, just past the bridge to ‘Perisher Centre’, and arrives at the Shuttle Bus shelter outside the Skitube Terminal building. 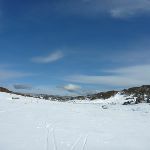 Perisher Valley village is centred about the Skitube building, Perisher Centre and the National Park Visitor Centre. 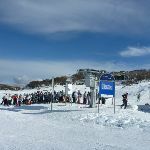 Just outside the Skitube is the shelter for the shuttle bus service to Smiggins. 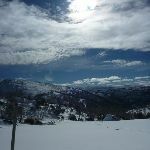 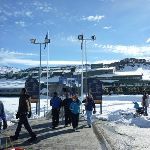 Perisher Centre is accessed by the long metal bridge – inside, you will find food shops, toilets and skiing-related shops. 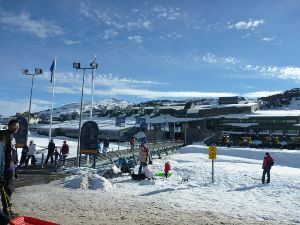 Inside the Skitube building is the train station, kiosk, medical centre and some other services. 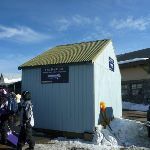 The National Park Visitor Centre provides a warm shelter, toilets, seats and information about the park. 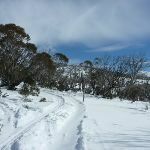 Most of these services only operate during the ski season, but the NPWS visitor centre is open most of the year and a food outlet is generally open for lunch Monday-Friday. 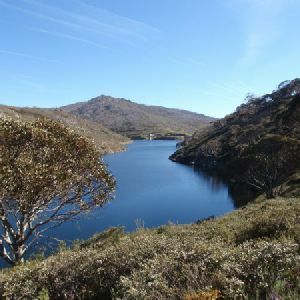 Around 3.7km of this walk has short steep hills, whilst the remaining 1.5km has gentle hills with occasional steps. 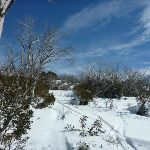 Around 4.3km of this walk follows a formed track, with some branches and other obstacles, whilst the remaining 900m follows a smooth and hardened path. 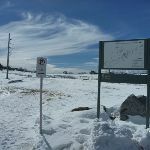 Around 4.3km of this walk has directional signs at most intersection, whilst the remaining 900m is clearly signposted. 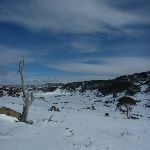 2.5km of this walk requires some bushwalking experience and another 1.8km requires a leader a with moderate level of bushwalking experience. 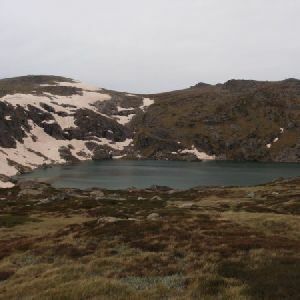 The remaining (900m) requires no previous bushwalking experience. 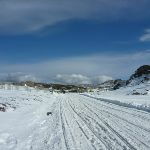 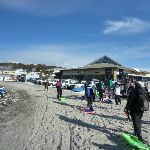 3.1km of this walk is affected by forecast, unforecast storms and severe weather events that may impact on navigation and safety and another 1.2km is affected by storms that may impact your navigation and safety. 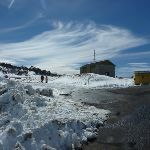 The remaining (900m) is not usually affected by severe weather events (that would unexpectedly impact safety and navigation). 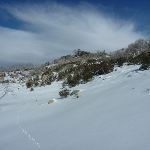 Around 4.3km of this walk has limited facilities (such as not all cliffs fenced), whilst the remaining 900m is close to useful facilities (such as fenced cliffs and seats). 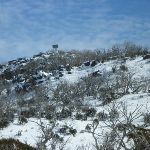 A list of walks that share part of the track with the Mount Piper Trail walk. 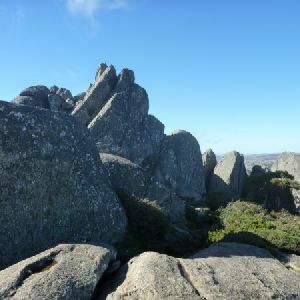 A list of walks that start near the Mount Piper Trail walk. 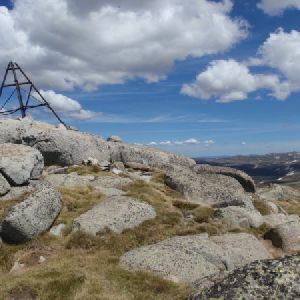 http://new.wildwalks.com/wildwalks_custom/includes/walk_fire_danger.php?walkid=nsw-kosciunp-mpt Each park may have its own fire ban, this rating is only valid for today and is based on information from the RFS Please check the RFS Website for more information.